Citing schedule concerns and technical challenges, Constellation manager Jeff Hanley has outlined a series of proposed solutions to avoid further slips in the Ares/Orion schedule. Mr Hanley proposes deleting the Ares I-Y test flight, making Ares I’s first stage disposable, switching from Orion 4 to Orion 3 as the Full Operational Capability (FOC) date, along with a host of additional changes in order to achieve the 2015 target for manned Orion debut. The proposals come at a time where plans are being drawn up for a series of major reviews on the future of the Constellation Program. The Constellation Program (CxP) is heading towards a crucial period of its early life, with several studies being set up at various levels to determine the forward plan for both NASA and Constellation. Lori Garver, former NASA Associate Administrator of Policy and Plans, and space policy adviser to Democratic politicians – who was expected to be named the new NASA Administrator earlier in the week according to sources (before later being confirmed as the deputy candidate) – was noted as leading a major content review of the Constellation Program, in an attempt to find a way forward to get the schedule “back” into the March, 2015 timeframe for the debut manned flight of Orion. General Peter Worden, Director of NASA’s Ames Research Center (ARC), was also noted as spearheading a NASA review, which is deemed to have “wide scope” – likely to include shuttle extension – while a main body “Blue Ribbon Panel” will work with the Office of Science and Technology Policy (OSTP) in Washington, possibly overseeing all of the studies. However, it was later announced that Norman Augustine would head up the review. Specifics for the reviews – to be announced in May – are still being built, although sources are noting a 60 day study on the launch vehicles will be undertaken, akin to a updated version of the Exploration Systems Architecture Study (ESAS), while other sources claim that the concentration will be focused soley on the current architecture that centers around the Ares launch vehicles. Ms Garver will be involved with the content review that is part of the schedule summit – called for by Constellation managers during the opening process of the 2009 PMR (Program Milestone Review or Program Manager’s Recommend) – which found serious schedule “disconnects” and funding issues, threatening to push the Constellation schedule out by up to another 18 months. At the conclusion of the content review, Constellation managers will create the PMR 09 Rev1 schedule, which will conclude with a formal budget submission to NASA HQ, and ultimately the Office of Management and Budget (OMB). It is not yet known if the results of the Aerospace Corp study – which evaluated the potential for launching Orion on the Delta IV-Heavy or Atlas V-Heavy – will be used in the upcoming studies, though this would likely play a part if a new ESAS style review is involved. 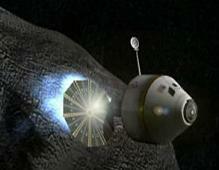 Other sources have also made references towards a review of the downstream direction of NASA’s human space flight program, with growing interest in a “bold and different” forward plan, which involves a manned mission to an asteroid (NEO mission outline video on L2), prior to the return to the moon. 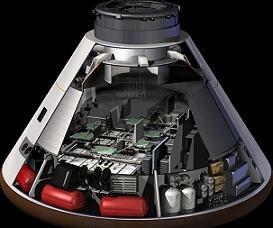 It is claimed the reviews will be a major milestone in the immediate and future direction of NASA. Further updates will be provided when the specifics of the reviews and studies are finalized. Rolling updates are being provided in L2. Constellation are aware of the challenges they face to avoid the gap growing yet further, with Mr Hanley – one of the most respected CxP managers – outlining the need to “improve the confidence” in the ability to achieve 2015 for the first manned Orion flight. “As you all know, the program has recently completed a Planning, Programming, Budgeting and Execution (PPBE) cycle, and will shortly issue a FY 09 PMR (Rev 1),” noted Mr Hanley in a wide-ranging memo to program managers, acquired by L2. “In addition, we have completed the Program PDR (Preliminary Design Review) checkpoint, and have a good technical plan to proceed forward to both the project and program PDRs. These were the product of outstanding effort by all parties, and resulted in a thorough review of the program cost, schedule and technical baseline. “The results of these reviews show that we have made huge strides in getting the technical design and architecture correct. We still have, and will continue to have, many technical challenges but we are working them off and making excellent progress. Previously, Mr Hanley has spoke of his confidence in being able to achieve the March 2015 IOC (Initial Operating Capability) target. Now, CxP have to find additional deletions – on top of the previous culling of the test program – to find a way back from the concerns raised in the opening PMR 09 cycle. However, such deletions will be open for debate, as opposed to ordered. “We are attacking this concern in multiple ways, one of which was the Technical Content Review, held March 31, 2009,” added Mr Hanley. “The goal of this review was to identify potential deletions or modification/simplification of the technical content. However, some decisions have already been made, including the move to a four man crew on Orion for both ISS and Lunar versions of the vehicle – as previously reported by this site in March. The option of modifying Orion back to a six person crew in the future will be protected. 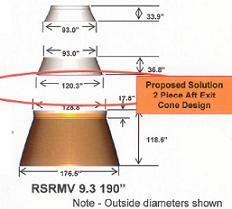 The 9.3 diameter nozzle – for an increase in Ares I performance – is also being removed from the table. “Baseline four crew for IOC and Lunar, with growth path/block upgrade capability to a six person crew (no further design work on 6 crew for block 1). Baseline 7.22 nozzle for Ares I (both ISS and lunar missions), while preserving the option for a common nozzle for Ares V/I in the lunar timeframe. Delete the zero crew ISS DRM (Design Reference Mission). However, this will not be enough to pull the program back on track, leading to Mr Hanley outlining his proposed changes to find schedule and budget solutions – none of which are program decisions at this time. “The remaining options will be brought forward to the CxCB (Constellation Control Board) or other appropriate forum as they are ready. Since this will naturally take some time, I want to share a few of the key recommendations and the goal I would like to work towards on those. Listing his proposals, Mr Hanley noted his plan to delete Ares I-Y, the first test flight of the Ares I five segment first stage configuration – possibly replaced by Ares I-X Prime – and a push to make Orion 3 the first crew rotation mission, otherwise known as Full Operational Capability (FOC), as opposed to the current plan which is scheduled for Orion 4, no earlier than March, 2016. Mr Hanley also proposes scrapping the transition to SI measurements throughout the program (presentation on L2), and increasing commonality between the ISS and Lunar versions of Orion. “Delete Ares I-Y and replace with the appropriate test strategy. 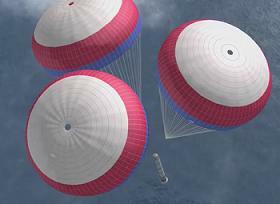 The test strategy should plan for Orion 2 and subsequent vehicles to be “Crew Ready” vehicles. That is, they can be crewed flights if preceding tests were successful and the program risk posture supports it,” Mr Hanley listed. “Do not implement SI units. Make FOC one flight after IOC (assumes ATLAS (LIDS-APAS adapter allowing Orion to dock at the Pressurized Mating Adaptor) is flown to ISS on HTV). Keep Lunar SRR (System Requirement Review) on track – make this a minimalist SRR. “Remove Lunar DRM from Orion’s post PDR work plan. Orion CDR should be a CDR for Block I. We will do a delta CDR for Block 2 at the appropriate time downstream. Instead, Orion work on Lunar should be at the SRR requirements validation level. “Defer certification to Lunar natural and induced environments to Block 2 – plan to leverage Altair component qual program and retrofit upgraded components to Orion for its Block 2 qual, which is already in the budget in the late teens. “Defer AR&D as a verifiable requirement. Do not redesign to take sensors or capability out. Assess using Orion 1 as part of the project qualification. If technically sound options are identified that differ from CEQATR (Constellation Environmental Qualification and Acceptance Testing Requirements) requirements (and are cheaper/quicker), bring forward for evaluation. “Reduce/eliminate procurement of any non-block 1 Orion components, including radiation tolerant electronic parts. Defer the 144 hour unpressurized lunar return requirement for block 1, if it allows cost/schedule relief Scrub C3I capabilities to determine the minimum necessary for the ISS configuration, and only implement those. “Shift program approach such that we lean towards accepting placards vs. making design changes. This will still need to be evaluated on a case by case basis to determine acceptability, but bottom line is the program is willing to accept placards within reason. Defer GPS on Ares if it can be negotiated with the range. “Delete First Stage reuse if that is shown to be a cost improvement. May include flying as an engineering evaluation system for a couple of flights, but not maintaining infrastructure or doing a full recovery system qual program. “Instead of imposing Data Architecture requirements, release guidelines or suggested standards. Ask projects/contractors for assessment to these standards vs. verification to them. “Relax anthropometric requirements where it saves cost and schedule in verification and qualification. Eliminate reuse of Orion hardware where it would save cost or schedule in component or system qual. Grow toward reuse after flight test program if positive life cycle cost trades exist. In conclusion, Mr Hanley notes that the above plan will be refined and reviewed over the next six weeks by Constellation managers, ahead of decisions being taken on June 1. Mr Hanley is confident the approach will realign Constellation back to a healthy confidence level for an IOC target of March, 2015. The timing of the June 1 decision point will coincide with the conclusion of the content review study, and may result in a merger of plans, or even a direct conflict. “As I mentioned above, this list does not represent direction; it represents my perception of the highest leverage ideas/options coming out of the Technical Content Review,” Mr Hanley noted. “This allows the leadership team to focus our energies in the next six weeks, assuring we give due diligence to upcoming decisions having the biggest gain-to-pain ratio. “My expectation is that we will have specific decision packages on each option by June 1, 2009 and we will formally approve or disapprove, based on cost, schedule and technical impacts.